How to unlock ZTE Mustang Z998 by code ? Unlocking ZTE Mustang Z998 by code is the easiest and fastest way to make your device network free. It doesn't interfere in your system or change it in any way so even after using our code, you don't loose your warranty. In order to receive a network unlock code for your ZTE Mustang Z998 you need to provide IMEI number (15 digits unique number). It can be found by dialing *#06# as a phone number, as well as by checking in the phone settings of your device. If you are looking for an easy and simple way to remove a network blockade from your ZTE Mustang Z998 you came to the right place. ZTE network unlock by code is a very cheap and simple to use service, that supports all ZTE models from all networks. Even if you dont know the network in which the ZTE Mustang Z998 is locked, this service will still unlock it. It doesnt matter if your device is a smartphone or a modem we can unlock it in 30 minutes. Wants to Unlock AT&T ZTE Mustang Z998 and wants to do it at an affordable price? We are here to offer you a fastest and affordable cost solution. You can get AT&T ZTE Mustang Z998 Unlock Code for as low as 14.99$. You can Unlock AT&T ZTE Mustang Z998 quickly & effortlessly. No any special knowledge is necessary. You can complete whole AT&T ZTE Mustang Z998 Unlocking process in a few simple steps. The AT&T ZTE Mustang Z998 Unlock Code that we provide, directly comes from AT&T database source so there is no chance or risk of damaging AT&T ZTE Mustang Z998 phone. We offer Professional and Safe service at best price and have quickest delivery time. What will i get benefits if Unlock AT&T ZTE Mustang Z998 ? You will get benefit to use your AT&T ZTE Mustang Z998 phone with any GSM carrier locally & also internationally without having to pay roaming fees just by swapping SIM cards. It is once time process. Your AT&T ZTE Mustang Z998 will remain unlocked forever even, upgrade or hard reset it. Unlocking will increase resale value of your AT&T ZTE Mustang Z998 phone. You will have chance to get more buyers because everyone prefer Unlocked phone. What are the requirements to Submit AT&T ZTE Mustang Z998 Unlock Code Order ? IMEI :AT&T ZTE Mustang Z998 phone IMEI Number. Dial *#06# to get AT&T ZTE Mustang Z998 phone IMEI Number. Is there any Special Instructions to Enter AT&T ZTE Mustang Z998 Unlock Code ? Instruction for AT&T ZTE Mustang Z998 phone is simple & effortless. Just a few steps required to enter AT&T ZTE Mustang Z998 Unlock Code. Turn off your AT&T ZTE Mustang Z998 phone. Turn on your AT&T ZTE Mustang Z998 phone. AT&T ZTE Mustang Z998 phone will ask for SIM Network Unlock Pin or Unlock Code. Enter AT&T ZTE Mustang Z998 Unlock Code. 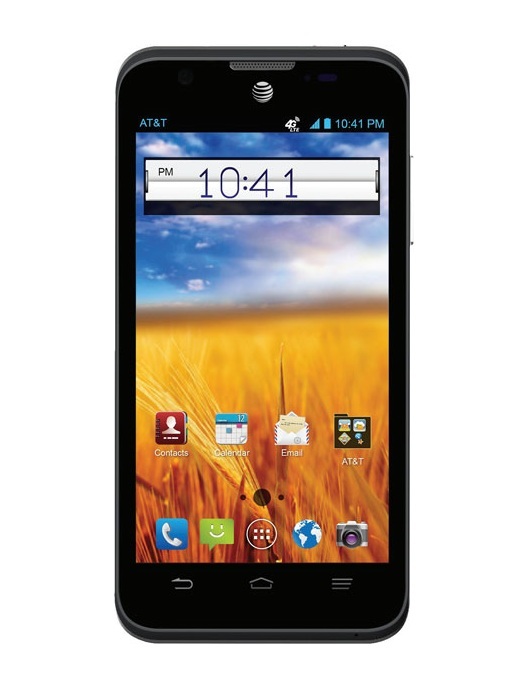 Now AT&T ZTE Mustang Z998 phone is Unlocked.